What is a Stamping Station? 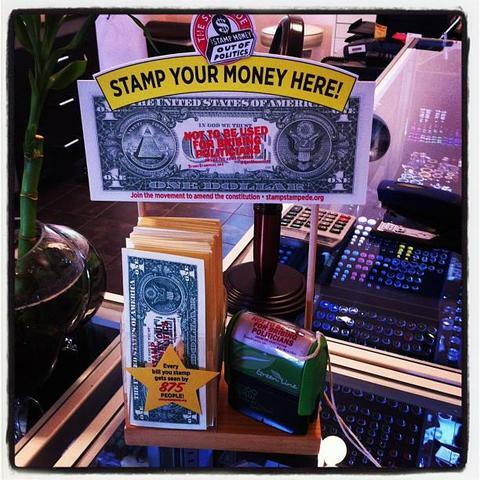 Stamping stations can be found across the country at local food co-ops, bars, music stores, tattoo parlors, coffee shops, ice cream shops, bookstores, you name it. If you own or operate a small business and would like to join the movement, we’re here to help! Promote the stamping station across our social media accounts. Provide you with a free stamp. Promote your store at special events. Want to see your favorite cafe or small business on the list? We do too! Email us. Thanks to the generosity of our donors, Stamping Stations are now FREE! And if you want to get stamps into the hands of your customers, we can also include 3 stamps for $5 each, which we recommend you sell for $10 each.